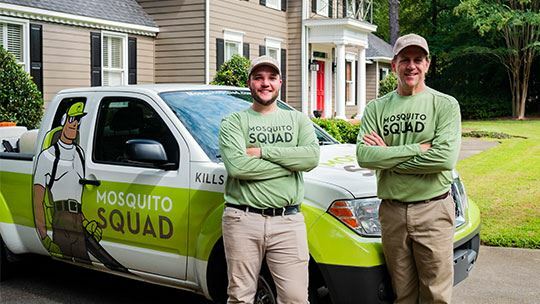 Mosquito Squad is Here to Help Reclaim Your Yard! Mosquitoes are the deadliest animals on the planet. With just one bite, they can spread dangerous diseases like West Nile virus, malaria, and heartworm. Similar to mosquitoes, ticks spread vector-borne diseases like Lyme disease, ehrlichiosis, and Rocky Mountain fever. Not only are they a health hazard to our loved ones, but they leave itchy and painful welts that ruin our time outdoors. Don’t let your family be exposed to the dangers of mosquitoes or ticks. 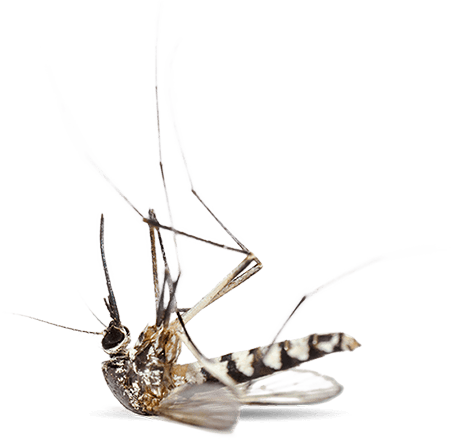 Call the pest control experts at Mosquito Squad®! Mosquito Squad’s licensed and trained technicians have shielded 300,000 families from mosquitoes, ticks, and other pests nationwide. Our signature Protective Barrier Treatment is micro-encapsulated, eliminating 85-90% of the mosquito and tick populations on your property. Our team is passionate about protecting families nationwide from the dangers and irritations of bloodsucking pests. Contact us today for a free estimate at (877) 332-2239 to reclaim your backyard. 100% satisfaction guaranteed! Every Job is 100% Satisfaction Guaranteed. It’s Our Promise. Your complete satisfaction is important to us. 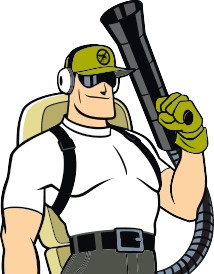 If you are not fully satisfied with your Mosquito Control or Misting System, contact your Mosquito Squad office and we will make it right! Stop the Bite & Enjoy Your Yard Again! 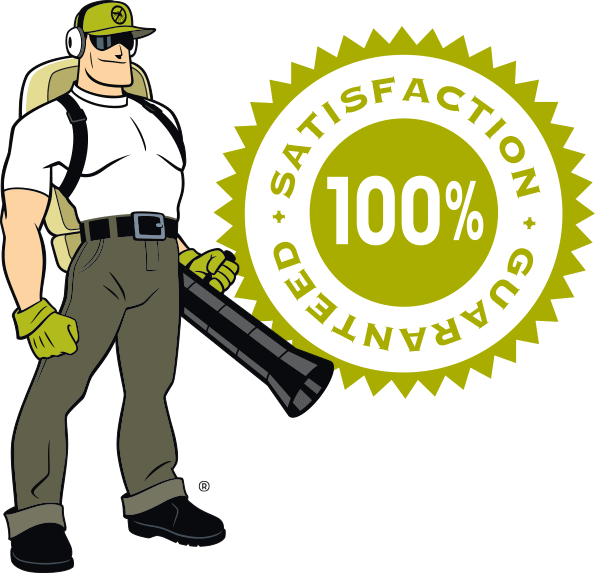 Mosquito Squad started in 2005 when we invented the Protective Barrier Treatment to help outdoor lighting installers fight the bite while working. To date, we have applied over 2 million Protective Barrier Treatments nationwide for families, businesses, organizations, and special events. We offer a wide range of pest control solutions, including all-natural treatments made of essential oils, intensive tick elimination, and one-time special event sprays. Our treatments are EPA-registered, and our licensed and trained technicians adhere to local, state, and federal guidelines. Start enjoying your yard again without the annoyance and dangers of mosquitoes. Contact our team today at (877) 332-2239 for a free estimate! Your family and pets deserve the most effective protection from mosquitoes. Connect With Your Local Squad Today! Connect With Your Local Squad Today! 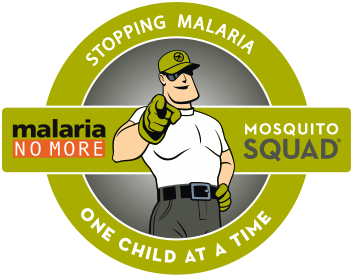 Since 2012, Mosquito Squad’s efforts have raised well over $450,000 to help fuel the fight against malaria. When we donate a portion of our sales to Malaria No More, we’re saving lives by supporting activities in Cameroon to ensure adequate, timely and widespread communications that help inform school-aged children and communities regarding protective bed net distributions and proper usage. Are Mosquitoes Ruining Your Outdoor Fun? The Squad is Here to Help! Find your nearest location today! Get to Know Your Squad! See what makes us tick and why we love what we do!